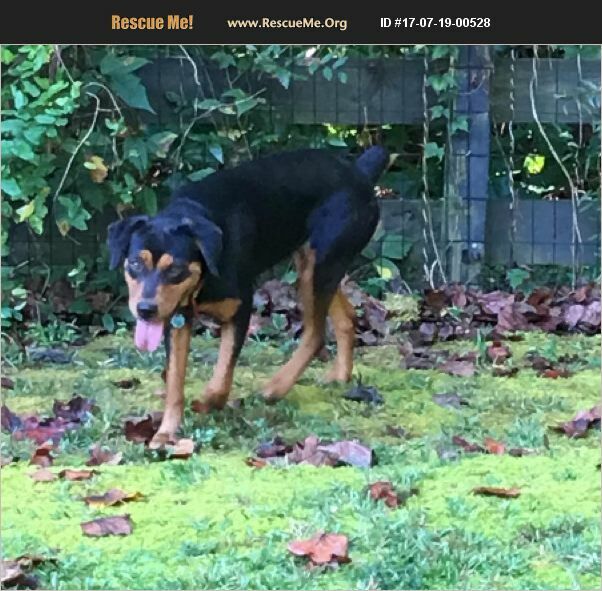 Joy is a small full or mix Rottweiler. She is 2 yo Female/spayed, microchipped, UTD on vaccines and is 47 lbs. She and another dog were picked up by Bibb Co Animal Control. They were in a house abandoned for at least a week without being fed or let out. She loves to get a belly rub and is super sweet. She will need a fenced in yard with a fairly high fence. She's very attached to her friend. I adopted (as foster only) from the shelter to prevent being put to sleep. It would be perfect if she could go with her friend ID#17-07-19-00512.